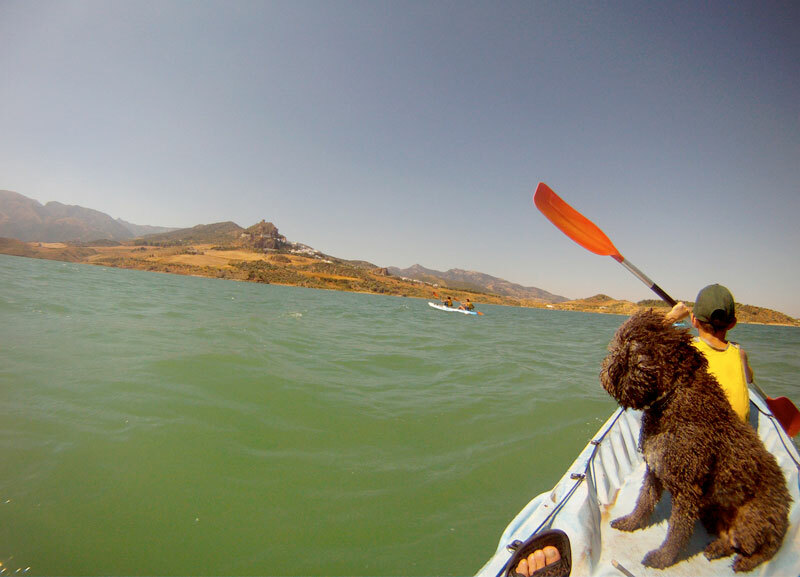 We offer kayak excursions on the various reservoirs found in the Sierra de Cádiz. This activity allows you to learn the technique of this particular sport. The excursion can be organized with either an educational or competitive bias, searching for buoys around an orientation course, and always with a focus of integrating with the environment. Our guides have both technical and environmental knowledge and always put our client safety as top priority. Included: Monitors and all necessary approved safety equipment. . Energy bars. Equipament. All necessary insurance. Permits and passes. Photographs. VAT. What you need to bring Swim suit, towel, dry fruit snacks or chocolate, sandwiches. Change of clothes. It is recommended that you bring sun block or protection. Meeting point Zahara de la Sierra reservoir.